Elsa is getting ready for her wedding along with her friends Anna, Moana and Ariel bridesmaids and need to organize a farewell party! Choose clothes, decorations and country. 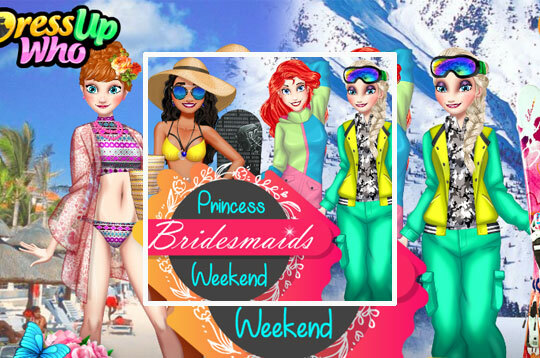 - Play Princess Bridesmaids Weekend Free and Enjoy!